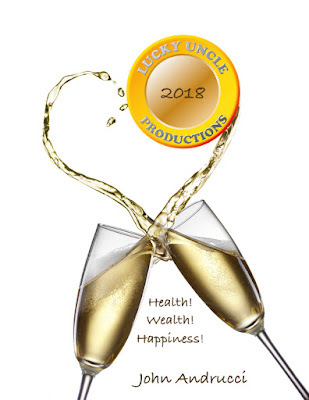 Wishing you everything good today and everyday throughout this coming year! Happy Hanukkah! Merry Christmas! Happy Kwanzaa! Happy Everything! 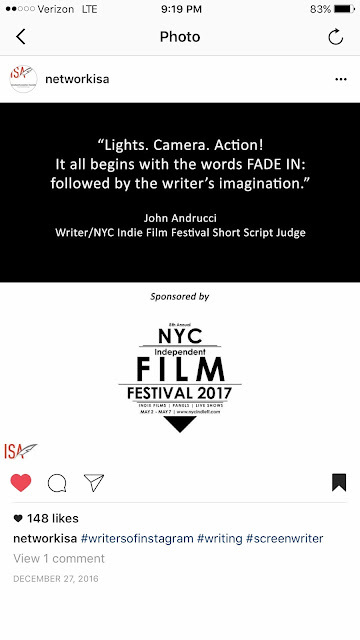 (NEW YORK, NY) August 9, 2017 – It’s a wrap! 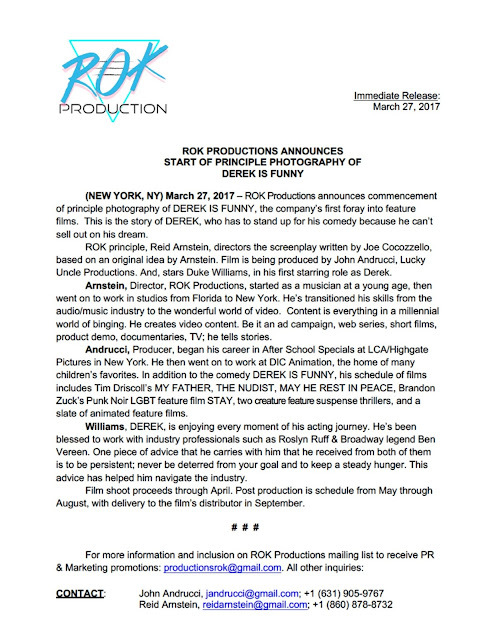 ROK Production announces completion of filming on their first feature film DEREK IS FUNNY. Film is directed by Reid Arnstein, produced by John Andrucci, and written by Inna Tsyrlin & Joe Cocozzello from a story by Arnstein & Tsyrlin. 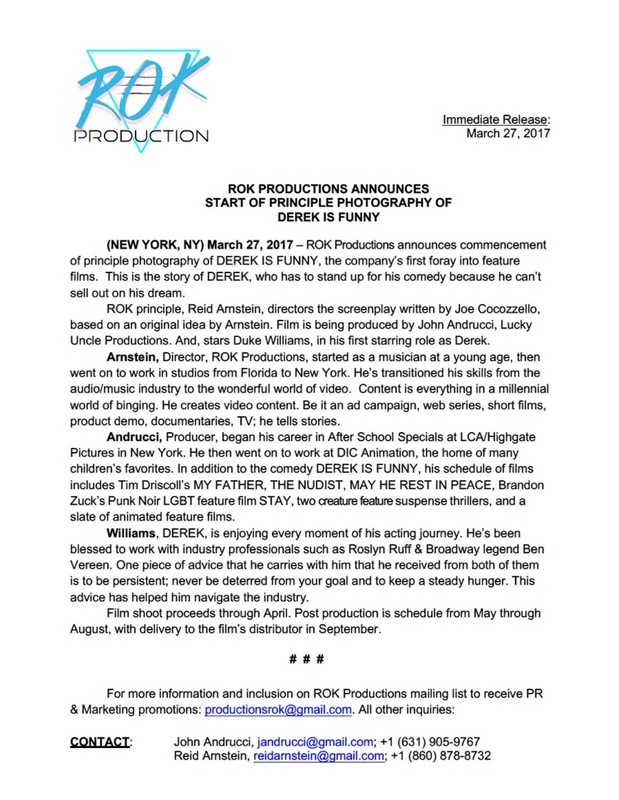 DEREK IS FUNNY is the story of a comedian who has to stand up for his comedy because he can’t sell out on his dream. 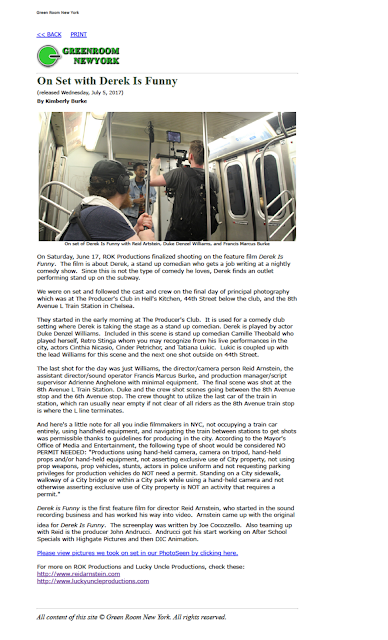 Film stars Duke Williams, in his first starring role as Derek; Adam-Rashad Glenn as Shaun Star; Tatiana Watson as Allison; and Jon Clinkenbeard and Joey Pfeifer, as Rob and Allen, respectively; with Drew De Simone, Joshua Radford, and Camille Theobald in supporting roles. Arnstein ran a small crew on the mumble core project with assists from Adrienne Anghelone, Production Manager; and Marcus Francis Burke, Assistant Director. Arnstein, Director, ROK Productions, started as a musician at a young age, then went on to work in studios from Florida to New York. He’s transitioned his skills from the audio/music industry to the wonderful world of video. Content is everything in a millennial world of binge watching. He creates video content. Be it an ad campaign, web series, short films, product demo, documentaries, TV; he tells stories. Andrucci, Producer, began his career in After School Specials at LCA/Highgate Pictures in New York. He then went on to work at DIC Animation, the home of many children’s favorites. In addition to the comedy DEREK IS FUNNY, his schedule of films includes Tim Driscoll’s MY FATHER, THE NUDIST, MAY HE REST IN PEACE, Brandon Zuck’s Punk Noir LGBT feature film STAY, two creature feature suspense thrillers, and a slate of animated feature films. Rough cut will soon be available to distributors via New York screenings and an online screener. 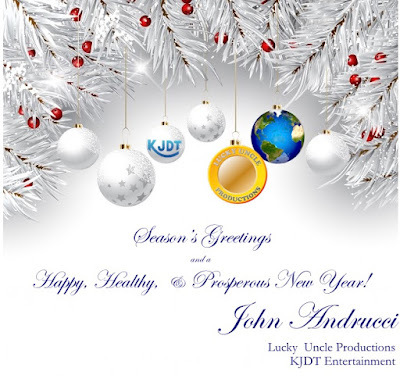 Distributors can contact Andrucci at the email or phone number below. Please view pictures we took on set in our PhotoSeen by clicking here. We're fundraising for our micro-budget feature film PEEPERS. It's been out a while. I forgot to post.